What's beekeeper to do in Winter? 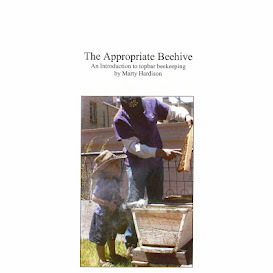 Not much is needed in the beeyard, so I was really excited to receive HoneyLove.org's January newsletter with a honey-tasting call-for-entries. I sent a jar of triple-strained honey from the Top Bar Hive. Some of the honey I chose had too much moisture, and some had already begun to crystallize but I figured the two combined would be perfect. I warmed them just enough to pass most of it through a 200-micron filter, keeping the course stuff out of the finished product. Not disturbing the honey is key to producing an award-winning honey, a patience-testing process in the middle of Winter. The two jars in the picture are the result. If the image doesn't load, you can see the original picture on Instagram. There were 17 entries into the competition, including one from Top Bar hiver Sam Comfort! Here's how we did.